I have blogged from many different places just to prove that you can blog from anywhere in the world. The last time, I blogged from a plane at 32,000 feet. 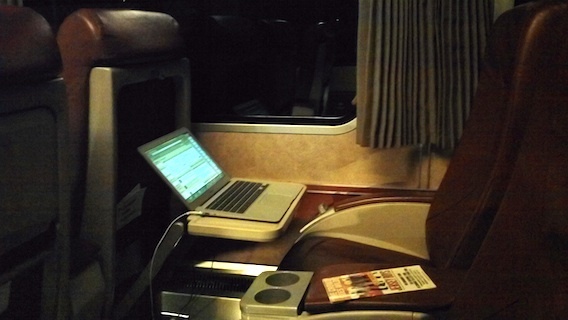 This time, I’m blogging from the Amtrak Cascades train going from Vancouver to Seattle. Blogging from a train is actually very easy if you have the right gear. The train doesn’t have any WiFi so you’ll have to either tether your iPhone or use something like the MiFi from Virgin Mobile. My MiFi only works in the US so I’ll have to tether my Rogers iPhone during the Vancouver leg of the trip and then switch over to the Virgin MiFi when I cross over into the US. The laptop I’m blogging from is an Apple Macbook Air. The business class car has electrical outlets to plug in all my blogging gear. 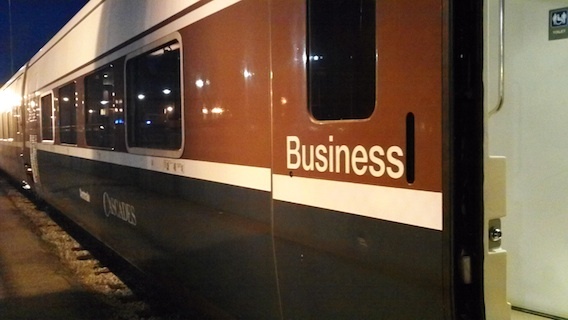 The business class car at the Amtrak Cascades is very roomy and quite comfortable. It’s also very emptied. There’s only four other people in the car with me. You think with the holiday season and all, the train would be packed. Other than no in-train wifi, the Cascades is equipped with pretty much everything else. 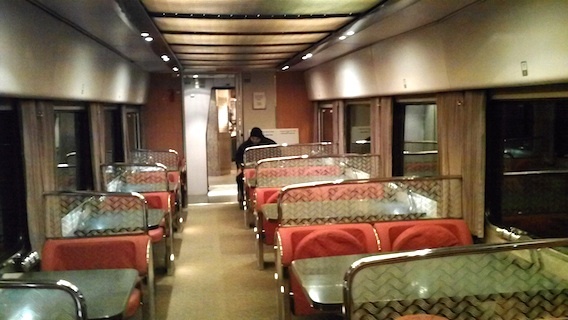 There’s even a nice dining car where you can grab a bite to eat and business class riders get $3 off any food purchases. I might use it to get a few Diet Coke or two. The train ride from Vancouver to Seattle takes 4 hours. The reason it’s so slow is because there’s quite a few stops along the way. I don’t really mind that because it gives me more time to relax and enjoy the amazing technologies that allowed to make this blog post.